"Never in a million years I thought he'd get the death sentence"
The wife and sister of a former South African soldier has responded to a court decision in South Sudan, to sentence him to death. The wife of former South African soldier, William Endley, who has been sentenced to death, has appealed to the South African government to extradite her husband. 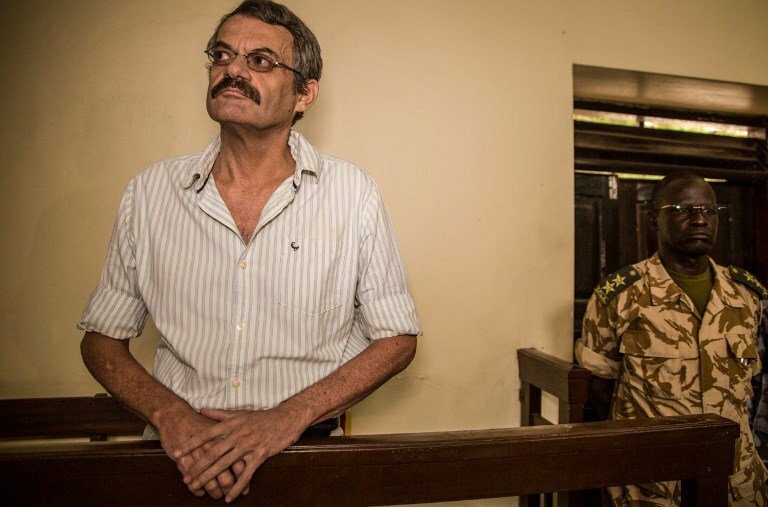 The 55-year-old Endley was sentenced to hang by a South Sudanese court for his role in assisting rebels during the country's civil war. Judge Lado Sekwat found Endley guilty of espionage and conspiring to overthrow the government. His wife, Sana Endley is pleading with South Africa's international relations officers to bring back her husband "for our daughter". In an interview with Jacaranda FM News, Sana says she is yet to break the news to her daughter: that her father might be hung. Endley describes the verdict as a "mockery of justice". "He is a South African man and ex-retired colonel. I have not had any contact with the South African government today. My request would be is to do the best they can and at least clarify," says an emotional Endley. "I just heard from a mutual friend in Juba that when the sentence was given the judge even declared that all evidence against William will be destroyed. Why will they do this?" William has been in South Sudan for the past 18 months. He worked as an advisor to former vice president and now rebel leader Riek Machar on the integration of the rebel forces into the national army under the then peace deal. The peace agreement collapsed in 2016 where he was arrested. His sister, Charmine Quinn says the family has been left broken. "We are very broken. We are emotionally very tired, financially we are under strain. It's has been really tough."